This book is for aspiring engineers or scientists and all who come in contact with MATLAB for the first time. There is an uncountable number of books on MATLAB. Most books on MATLAB are engineering or mathematical books. These books cover specific and complex problems in engineering, science or mathematics and demonstrate how to solve it with MATLAB. Only scientists and engineers with expertise in this subject could work with these books. For engineering students with little knowledge in these specific areas, there is no adequate book for learning the basics about MATLAB. 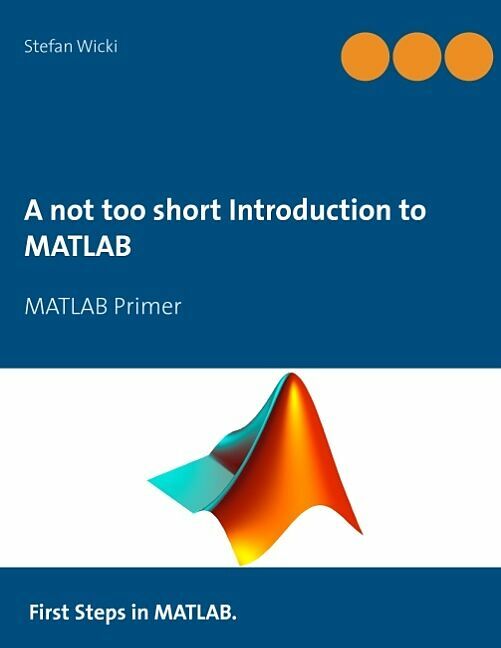 Through this book it is possible to learn about MATLAB as an autodidact along with easy examples. The focus lies on learning about the software without any previous knowledge necessary. Stefan Wicki teaches at the university of applied sciences, "Fachhochschule Nordwestschweiz", Switzerland. Stefan Wicki teaches at the university of applied sciences, "Fachhochschule Nordwestschweiz", Switzerland.